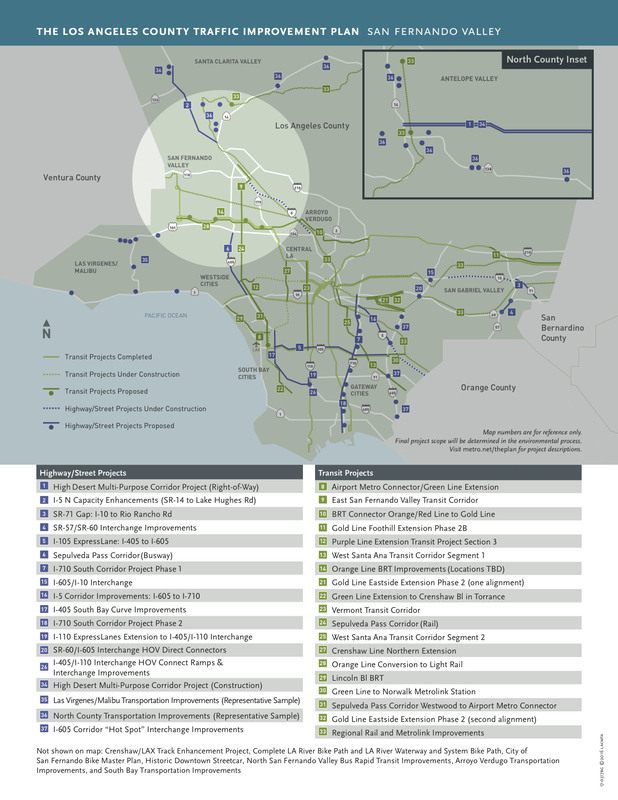 Metro has produced fact sheets that show the projects and programs in Measure M’s spending plan for each of the nine subregions of the county. The San Fernando Valley subregion includes parts of the city of Los Angeles and the city of San Fernando. 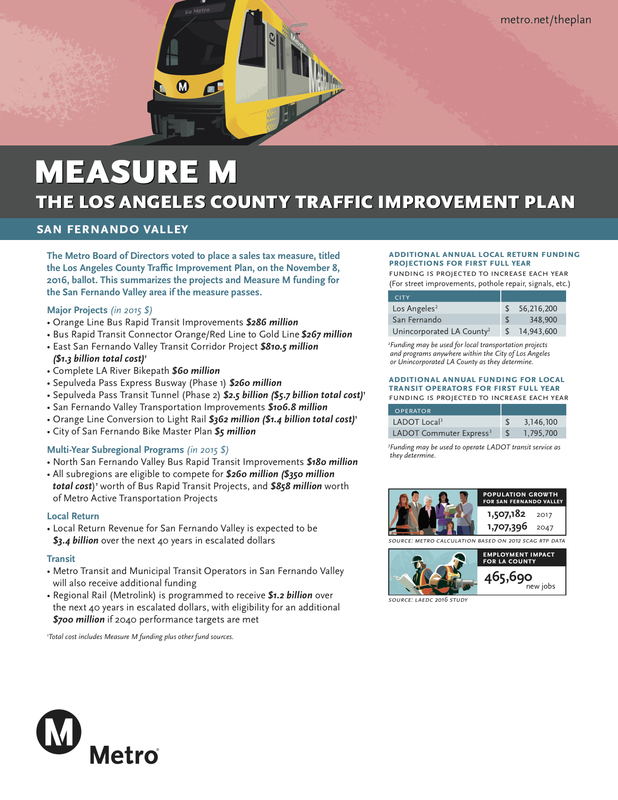 Among the major projects that Measure M would provide funding for in the SFV: Orange Line improvements and eventual conversion to light rail, a bus rapid transit or rail project along Van Nuys Boulevard, a potential Sepulveda Pass tunnel for rail, a bike path along the Los Angeles River and the city of San Fernando Bike Master Plan.